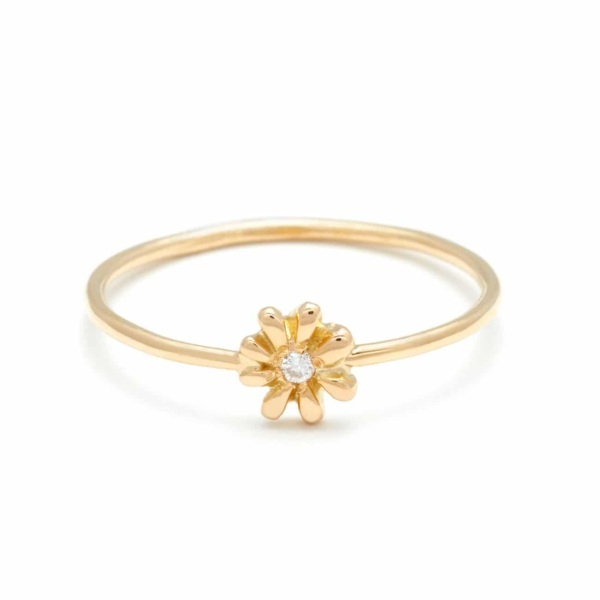 A classic daisy. 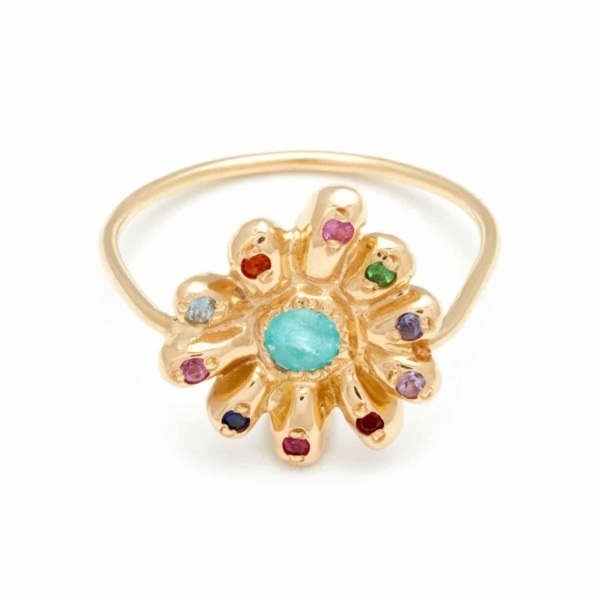 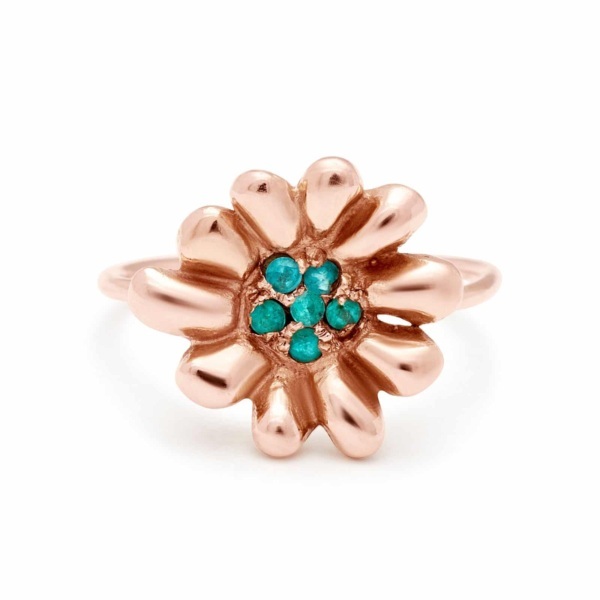 This ring is set with a turquoise ball center and 6 rainbow gem petals. 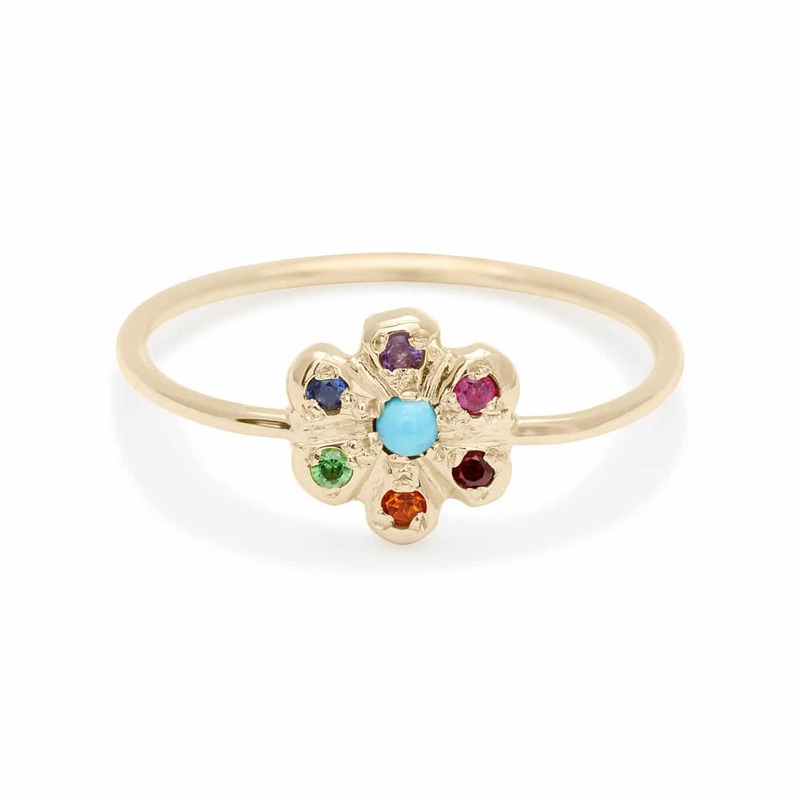 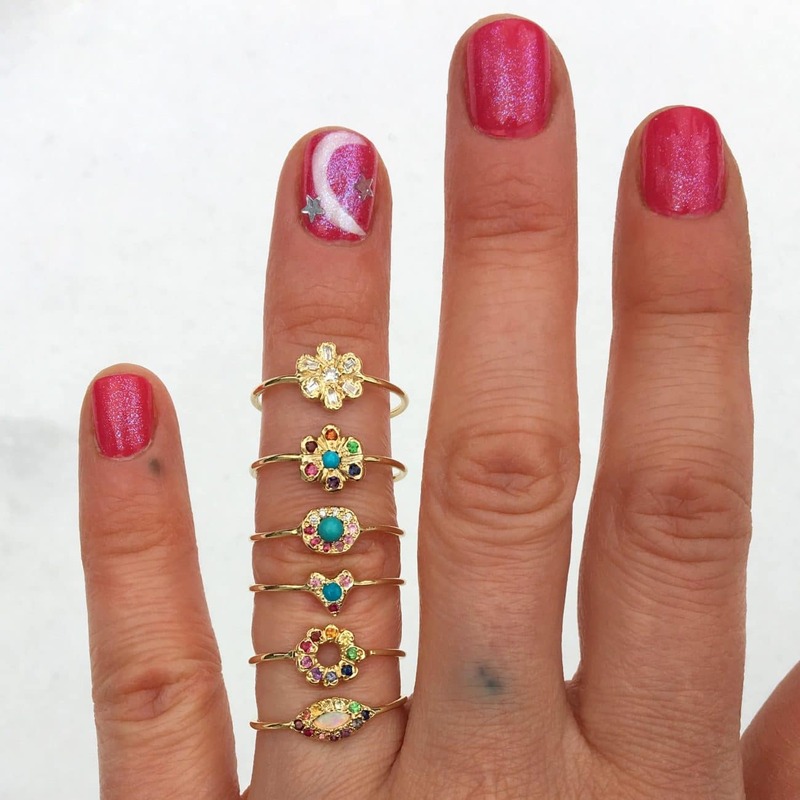 The rainbow gems include garnet, citrine, tsavorite, blue sapphire, amethyst, and pink sapphire. 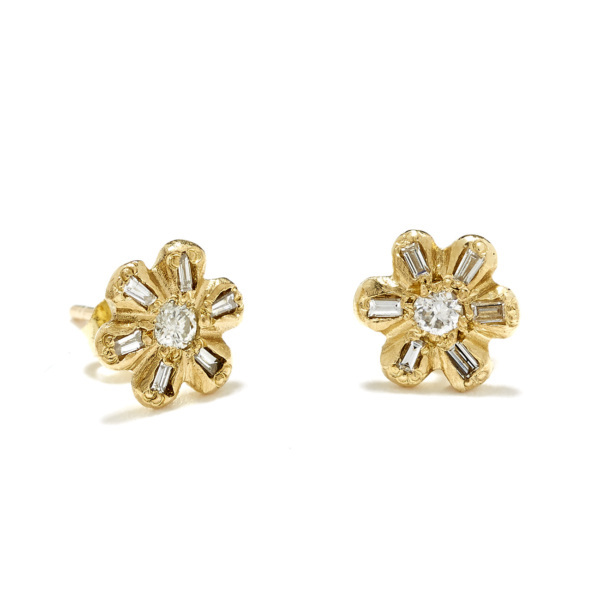 Handcrafted by Elisa.